In Alzheimer’s disease (AD) pathogenesis, increasing evidence implicates mitochondrial dysfunction resulting from molecular defects in oxidative phosphorylation (OXPHOS). The objective of the present study was to determine the role of mRNA expression of mitochondrial genes responsible for OXPHOS in brain specimens from early AD and definite AD patients. In the present article, using quantitative real-time polymerase chain reaction (PCR) techniques, we studied mRNA expression of 11 mitochondrial-encoded genes in early AD patients (n=6), definite AD patients (n=6), and control subjects (n=6). 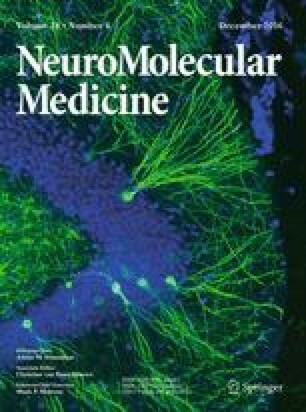 Using immunofluorescence techniques, we determined differentially expressed mitochondrial genes—NADH 15-kDa subunit (complex I), cytochrome oxidase subunit 1 (complex IV), and ATPase δ-subunit (complex V)—in the brain sections of AD patients and control subjects. Our quantitative reverse transcription (RT)-PCR analysis revealed a downregulation of mitochondrial genes in complex I of OXPHOS in both early and definite AD brain specimens. Further, the decrease of mRNA fold changes was higher for subunit 1 compared to all other subunits studied, suggesting that subunit 1 is critical for OXPHOS. Contrary to the downregulation of genes in complex I, complexes III and IV showed increased mRNA expressions in the brain specimens of both early and definite AD patients, suggesting a great demand on energy production. Further, mitochondrial gene expression varied greatly across AD patients, suggesting that mitochondrial DNA defects may be responsible for the heterogeneity of the phenotype in AD patients. Our immunofluorescence analyses of cytochrome oxidase and of the ATPase δ-subunit suggest that only subpopulations of neurons are differentially expressed in AD brains. Our double-labeling immunofluorescence analyses of 8-hydroxyguanosine and of cytochrome oxidase suggest that only selective, over-expressed neurons with cytochrome oxidase undergo oxidative damage in AD brains. Based on these results, we propose that an increase in cytochrome oxidase gene expression might be the result of functional compensation by the surviving neurons or an early mitochondrial alteration related to increased oxidative damage.